It is a smartphone messenger which replaces SMS. This app even lets me send pictures, video and other multimedia! 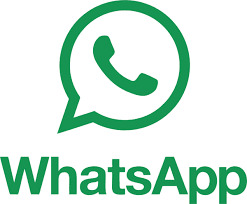 WhatsApp Messenger is available for iPhone, Android, Nokia, Windows Phone and BlackBerry and there is no PIN or username to remember - it works just like SMS and uses your Internet data plan. Get it now from https://whatsapp.com/dl/ and say good-bye to SMS! WhatsApp Messenger :: cross-platform mobile messaging app for iPhone, BlackBerry, Android, Windows Phone and Nokia. Send text, video, images, audio for free using you local data provider and have instant messaging on the go.